Susan Coryell is a career educator who has taught classes in English, Speech, drama, reading and English as a second language to students from grade 7 through college. She is also a prolific writer who has had articles published in publications from Cooperative Living to The Washington Post. She's even written recipes for magazines and cookbooks. But she also writes fiction for adults and young adults. She married her high school sweetheart and currently lives in Virginia. 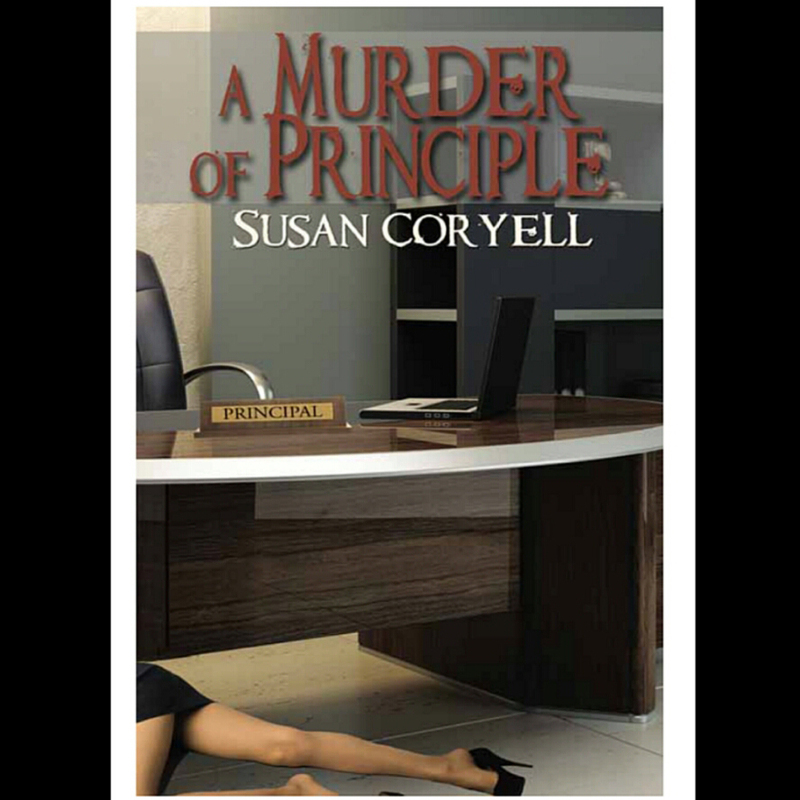 Her latest book is A Murder of Priniciple. It sounds like a great book to enjoy on those warm afternoons sitting in the park or outside on the patio or at my favorite restaurant with a glass of wine in one hand and a book on the table. What happens when an unscrupulous principal threatens to destroy a model high school? A new principal takes Harding High by storm, wreaking havoc with every executive order, every decision, tearing down the stellar school tenet by tenet. Teachers, other administrators, students, parents—the community at large increasingly react to the tremors shaking Harding High as Principal Wendy Storme churns a destructive path through their traditions, values and protocol. Everyone seems to have a valid motive for murder. That grabs your interest doesn't it? I know it grabbed mine! Here' an excerpt that will make you want to keep reading! With a blast of nerves, Rose pushed open the door and moved inside the large, windowless room. 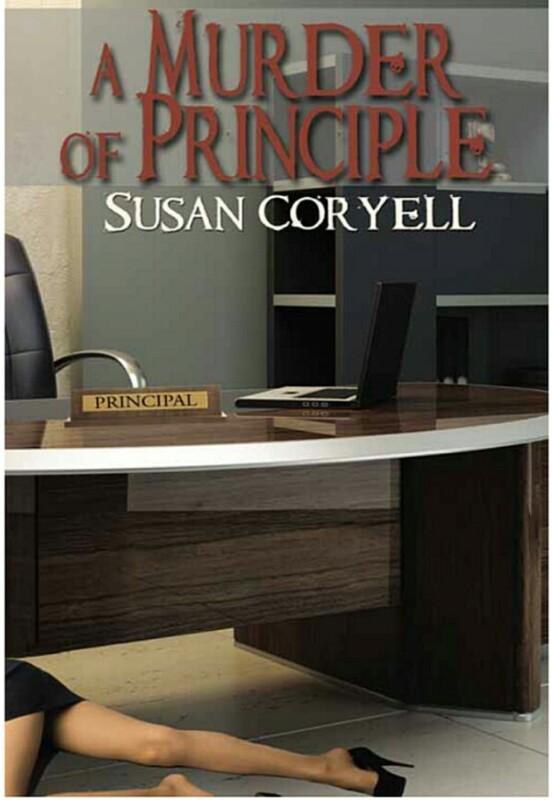 Settling her eyes on the principal’s desk, she noticed that the woman’s position was oddly out of the ordinary; her limbs stretched unnaturally and her neck twisted away to the side. The desk itself was covered in a flurry of papers and every drawer had been pulled and left open. A mug of spilled coffee puddled down one side of the desk. Written on the mug was the word Boss. Rose fought panic as she moved in and surveyed the surreal scene before her. Principal Wendy Storme had not moved. The face on the twisted neck was frozen in an ugly grimace of terror—with mouth and eyes wider than normal. Her swollen jaws and neck had darkened to a macabre blue. A thin stream of drool crept down Wendy’s chin and her eyes stared unseeing at the wall beyond. Without notice, Wendy’s body flopped to the floor with a flaccid thud, virtually at Rose’s feet. Principal Wendy Storme was dead. 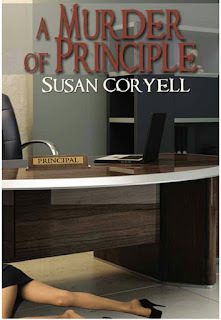 Thanks, Susan, for being my guest and introducing us to your latest book. Stories of reunited lovers or a second chance at love have always been among my favorite romantic tales to read so I am always looking for new offerings. This week's guest in My Writing Corner has just such a story to offer and it immediately captured my interest when I read the blurb. My guest today is new author Elsie Davis who has a wonderful story of how she got published. Elsie, how did you get started on your writing career? I’ve been an avid romance reader since the age of twelve. In my mid to late twenties, I started to notice a certain level of frustration when I was reading if the story didn’t go the way I thought it should. Putting pen to paper, I started to write thinking it would be easy. I graduated to the Commodore printer and Ink Jet printer. (Dating myself big time) Turns out, writing an entire story, at least one worth reading, seemed impossible. My big dreams faded away into the reality of diapers, school, homework, sports, cleaning, dinners. You get the picture. Twenty or so years later, I started writing again. This time courtesy of Microsoft Word and a modern computer. Two or three stories spilled out of me, but I knew they still weren’t good enough to let anyone read, much less send out into the big, scary world of publication. Tell us about your journey to publication. Have you always wanted to write fiction? The official start as I see it, came in 2014, when I had written a romantic suspense, Only Trust Your Heart, and I was starting to gather confidence. A retired English teacher read it for me (the first person to ever read anything I wrote) and she loved the story. My mechanics needed work, but the overall structure was in place. I started taking classes and rewriting the story. I signed up for the 2015 RWA conference in NYC and met a roommate online through the RWA loop. In March, she mentioned the Daphne du Maurier writing contest for romantic suspense. I’d never heard of it, or the Kiss of Death writing chapter for that matter. I had one week to polish the manuscript and make the decision to send. It was one of those “I’m going to be sick” moments when I hit send. When I got the call in May 2015 to tell me I’d finaled, I couldn’t stop crying. It was my first official validation I was moving closer to my goal. While at the RWA conference in July, I attended the Kiss of Death Chocolate Ball and it was then I found out Only Trust Your Heart placed second in the category romantic suspense division. It gave me the confidence I needed to decide to pursue my dreams full-time once again, and with my husband’s support, I quit my job in September of 2016 and applied myself to writing and learning the craft of writing. By this time, I had ten stories, only three of which had seen the light of an editor’s day. A few of these I am rewriting, and others will stay locked away forever. They are considered part of the learning curve and beyond repair. In November 2016, I pitched Back in the Rancher’s Arms at the Savvy Author Pitchtacular event and from a 3-line pitch got a request from Heidi Shoham with Entangled Publishing. This turned into a revise and resubmit, and then into a contract in May 2017. My debut novel, Back in the Rancher’s Arms is a second-chance sweet romance but following close on its heels will be Only Trust My Heart, as it recently went under contract with The Wild Rose Press. First and latest. LOL. My debut novel, Back in the Rancher’s Arms came out for release on April 9th. It’s a sweet, second chance romance set in rural Texas. This is a standalone book and the first of my Trinity River novels. Someone or something trips a “that would make a great story” moment. I start thinking about the possible directions the story can take and zero in on what I like best. It’s like I create just enough about the character, like their background, their job, and their issues. Then I do a full character assessment to know what makes him tick, how he would react, what drives him, what would set him off. I use Angela Ackerman’s books on positive and negative traits and on emotion to get a clear picture of the characters. Tell us about your hero and why you wanted to write him? I’ve always loved cowboys. Must be the way they wear their jeans. LOL. Or their hat and boots. Or drive a beat up pick-up truck. Dylan has all those characteristics and then some. Just when he thought he would be leaving home to pursue his dreams, he was saddled with a lot of responsibility on the ranch, including raising his little brother. Character shines through the best when faced with adversity and Dylan is no exception. Kayla is independent, feisty and has a heart of gold. She’s been dealt a lot of pain but rose above it to make a success of her life. I can identify with her. Book two of my Trinity River novels, currently titled Small Town, Big Secret. As many people have guessed, it will feature Becky, Kayla’s ex-best friend recently reunited. Becky needs legal advice and the District Attorney Elect in Houston is just the man to help her. I’m also working a heartwarming story called Rescue My Heart. This story came to mind after an actual 911 call that took place here at my home. It involved a golden retriever chasing a squirrel, a steep cliff that drops down into a quarry, and a happily-ever-after rescue. Thank you, Elsie, for being our guest today and telling us about your book! Any comments or questions for Elsie? Having just returned from the Left Coast Crime Convention in Reno, I am ready to dive into more writing. Writing conferences can do that for me. I always get ideas for new stories, just listening to other writers and attending the various sessions. I hear ways to improve my own work, ideas for increasing productivity but also ways to stimulate my writing brain cells. But since this is also a readers' conference it was also an opportunity for me to be just a plain reader too as I listened to panels of other writers talk about where they get ideas, how they formulate stories and everything else reading and writing related. There were excellent panels on writing short stories, writing a series, and how to come up with dastardly, but individual villains. Writers who were just starting out told their stories alongside long-time writers who had dozens of television series under their belts in addition to writing best sellers. I started off the conference with an appearance at a panel on writing romance and suspense with my fellow Colorado author Terry Odell, who writes several series, Diane Kelly who writes a series featuring an a former IRS agent, Scotti Andrews, and Yves Fey. We all agreed that we enjoy writing a combination of mystery and romance and that we have a hard time writing one without the other. For each of us, it is the story that counts and we all write in a variety of different ways. We did agree that we keep more of the romance behind closed doors and we try to keep it balanced with the murder mystery. We also like to keep things playful as a way of showing the romance, and since we mostly write a series, while there might be a contented ending to the romance, it doesn't always end up being happily ever after, but we do solve the mystery. Other panel discussions were enlightening for a number of reasons. I discovered several new writers I know I want to read, like Janet Dawson and her California Zephyrette mysteries. I've ridden the Zephyr several times, but didn't know that back in the 40s and 50s, they carried hostesses who rode the trains. What a perfect way to set a mystery! And that is another reason to attend a readers' convention like Left Coast Crime -- the discovery of new authors. Another author I met -- D. R. Ransdell -- writes a mystery series featuring Mariachi player Andy Veracruz. And the stories sound like fun reading. Needless to say I came home with a big pile of books and new authors to read. 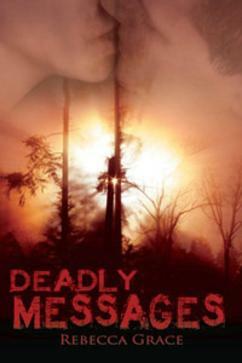 Next year Left Coast Crime moves north to Vancouver, B.C., the setting for several of my suspense books, including Deadly Messages and Shadows from the Past. I am already making plans to attend. I know I'll not only meet some new authors, and find some new books to read, but I might get a new idea for a story set in the northwest. Writers' conferences can not only rejuvenate a writer but they can also bring new ideas too!